Modern fully enclosed surface luminaire with curved low profile appearance. Steel body with polycarbonate diffuser and plastic end caps. 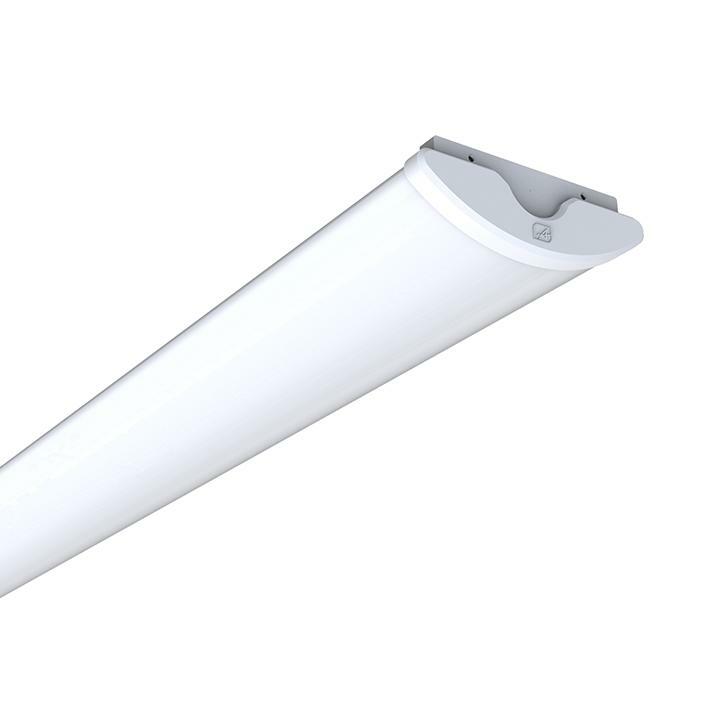 LED Lifespan L70 65,000 hours.